As we suspected last week, "The Hunger Games" was able to hang on for a fourth consecutive title, topping the box office with $21.5 million, and pushing it's total gross to $337 million, which should have it sitting comfortably in the top five at year's end. While we're happy to see the film doing so well, we confess to a measure of disappointment that the horror/comedy "Cabin in the Woods" didn't do better. Despite being the best reviewed film in theaters this week, with critics from one end of cyberspace to the other hailing it as fresh, smart, funny, surprising and all other things you look for in a genre film, "Cabin" couldn't find an audience. The problem was most likely the fact that the film is tough to market, as the less you knew about it, the better. And in an age when trailers have trailers, trying to promote a film without giving away too much is a tough trick. Overall it was a weak showing at theaters, as receipts were down from last weekend, and the same weekend last year. Between "Cabin"'s tough sell and the dubious relevance of "The Three Stooges," there was nothing to drive movie fans out of the house. And the ridiculously nice weather in NYC probably didn't help, either. 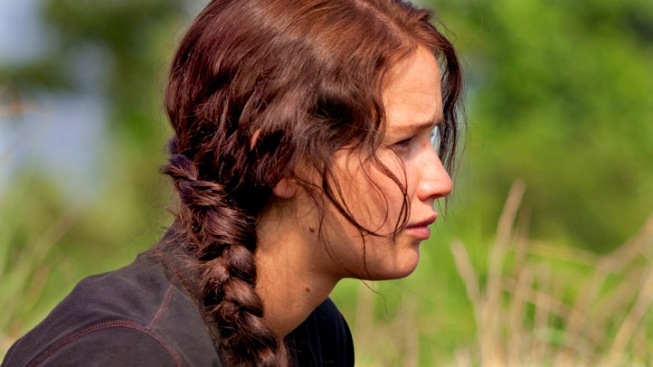 Next week is surely the end of Katniss Everdeen's reign in terms of pure dollars, as Nicholas Sparks' "The Lucky One" is hitting theaters, and seems sure to open with at least $15 million. But the only other films out are Disney's doc "Chimpanzee" and Steve Harvey's "Think Like a Man," so don't bet against "The Hunger Games" finishing atop the PBCS poll again.